The Recipe: A simple summer supper, just quick-seared chicken breasts finished during a short stint in the oven surrounded by fresh and summer-juicy peaches. Low Carb. High Protein. 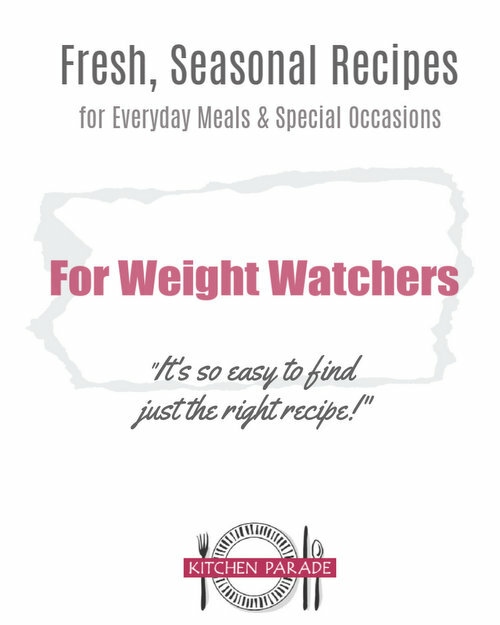 Very Weight Watchers Friendly. Weeknight Friendly. Naturally Gluten Free. Inexpensive. Quick to the Table. What're you waiting for?! "A weed is only a flower out of place," my mother used to say. She had a knack for gardening, her able assistants the short cool summers and long light-filled days of Northern Minnesota. As Mother Nature bears down on much of the U.S. – punishing heat and parching dryness – during this summer of 2012, my own gardens wither. I'm deciding that my definition of a weed is different. "A weed is what survives heat, drought and neglect while the pampered and watered potted plants scorch and shrivel." Hang in there, people. Let us be weeds. Peaches continue to ripen off the tree. The GOOD NEWS There's hope even for the rock-hard peaches we find at the supermarket are just days from juice-drippling-down-your-chin ripeness. The BAD NEWS The rock-hard peaches we find at the supermarket (and even the farmers market) are often days from juice-drippling-down-your-chin ripeness. Yep, one and the same, both Good News & Bad News. But it's manageable. To move the ripening process along, store a few peaches at a time in a closed paper bag at room temperature on the counter. I like to buy a few peaches at a time every few days just to have ripe peaches ever at the ready. All GOOD NEWS Good summer peaches aren't hard to find ways to eat! Cornmeal Muffins with Peaches Start your day with muffins studded with peaches and a single pretty slice on top. Savory Peach Appetizer If you like fruit in savory dishes, start here, creamy with a small spike of heat. Roasted Peaches Super simple, when supper's a little skimpy. Peach-Pie Pudding It's a peach pie without the trouble or calories of a crust! Fresh Peach Pie My first peach pie recipe, the peaches are barely cooked, barely sweet. First-Prize Peach Pie Until ... yeah, a pie where the peach flavor is so intense, thanks to no peeling and no blanching. And you? Do you have some go-to peach recipes? Please do share! CHICKEN Heat oil on medium heat in a large, oven-safe skillet. Sprinkle chicken on both sides a spice blend or salt and pepper. Drop into hot skillet and let brown on one side for 2 - 3 minutes without moving, then turn over and cook for another 2 - 3 minutes on another. Transfer meat to a plate, leaving drippings in the skillet. PEACHES Add onion to the skillet and let gently cook, just until softened. Stir in ginger, garlic and fresh basil and cook for 1 minute. Stir in chicken stock (the pan should sizzle) and stir, collecting up the bits of "fond" on the bottom of the skillet. Remove from heat. Arrange peaches around the edge of the skillet and chicken breasts in the center. Bake for 15 - 25 minutes until the juices in the center of the thickest part of the breast run clear. TO SERVE Sprinkle with fresh basil and serve tableside or slice the chicken, transfer to individual plates and serve. ALANNA's TIPS Try to choose a spice blend with a little kick. Chicken breasts are <<< huge >>> anymore, the two shown in the photo weighed nearly a pound and a half, that's six servings, not two. If you're watching calories or counting points, you may want to cut the breasts into individual servings before browning. 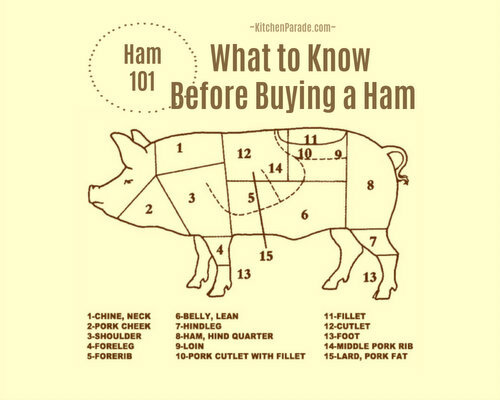 Another way to do this is to slice the breast meat after it's cooked. Do you prefer dark meat? I often do too. Substitute chicken thighs or legs for breasts. Thick chops would be good too although the cooking time would be longer. To easily cut chop basil leaves, use the "chiffonade" technique. Stack the leaves one on top of another, then roll into a cylinder and cut crosswise across it. NUTRITION INFORMATION Per serving: 192 Calories; 3g Tot Fat; 1g Sat Fat; 65mg Cholesterol; 229mg Sodium; 11g Carb; 2g Fiber; 9g Sugar; 28g Protein. WEIGHT WATCHERS Old Points 4 & Points Plus 4 & SmartPoints 4 & Freestyle 1 This recipe has been "Alanna-sized" with decreases in portion size and increases in flavor. Adapted from Southern Living, a recipe which caught my eye in the June issue. I agree with you on the size of chicken breasts - they're huge! More and more when I'm serving any kind of meat, I'm slicing it in the kitchen. Then I prepare each plate, and serve the meal that way. You get a pretty presentation, and it's an easy and effective way to control portions. Speaking of presentations, really like the photo - quite nice. And this recipe is super, too - the sort of thing I like to make. I'd add a bit of cayenne to this dish, but that's just me. Alanna, this is a fabulous idea! Farmstand down the road has luscious peaches this year and I think we need to have this for dinner tonight! Thanks so much!